In this week’s Top Ten Tuesday, a meme hosted by The Broke and the Bookish, we’re sharing our latest five-star reads: the best of the best, la creme de la creme, our very own A-game! 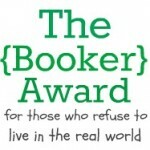 As luck would have it, in the five years that I have been blogging, I have only given a five-star rating to exactly ten books, out of 107 books total! I’d say that less than 10% is reasonably selective, so if you’re searching for a perfect springtime read, make sure you pick up one of these! So which books would give five out of five stars? Share your top recommendations in the comments! I’m currently at a conference predominately catered toward analysts and engineers in the government sphere, which has got me thinking about some great novels about what can happen when governments grow too corrupt, using technology for devious purposes. This dystopian theme has garnered more popularity in the past few years, thanks to the rise of young adult thrillers like The Hunger Games, so I thought I would share some tidbits about the novels that make you want to wear an aluminum hat. 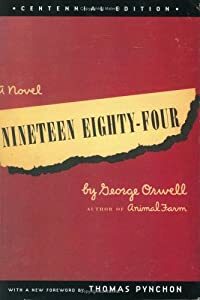 1984 by George Orwell (1949): The king of dystopia, Orwell paints the bleak picture of a totalitarian state that not only watches your every move, but also sabotages your mind with double-think. The intensity of this story quickly made it one of my favorites of all time! Brave New World by Aldous Huxley (1932): This is an excellent portrayal of genetic engineering gone totally wrong, complete with drug-induced complacency. Read with caution, as it also contains more disturbing themes than the other two classics. Fahrenheit 451 by Ray Bradbury (1950): A haunting commentary of society’s attention-deficiency and willingness to sacrifice literature and civil rights for mind-numbing entertainment. Its brevity proves that good things can come in small packages. The Handmaid’s Tale by Margaret Atwood (1985): One of the most well-renowned feminist writers, Atwood illustrates an alternate dystopia where the feminist movement of the 1970s backfired, creating a twisted world where women are reproductive slaves. Given current politics in America, this story’s just as relevant almost 30 years later. Never Let Me Go by Kazuo Ishiguro (2005): I’m hesitant to label this novel as science-fiction, or even describe its main premise for fear of spoiling the reading experience, but I will say that never have I seen an author blur the lines between genres as Ishiguro. A heartbreaking tale that transcends past, present, and future. V for Vendetta by Alan Moore and David Lloyd (1988): I don’t normally include graphic novels, but this one epitomizes dystopia to the max. Based on the history of Guy Fawkes’ Day, it depicts the ultimate narrative of revolution. The V mask is a must-have for anarchists everywhere. The Hunger Games by Suzanne Collins (2008): After flipping channels between reality TV and war footage, Collins wrote the bestselling trilogy of the ancient Greek-esque punishment for rebellion. Arguably too brutal for children, but it’s an apt critique of society’s desensitization of violence. Uglies by Scott Westerfeld (2005): One of my favorite YA series, it demonstrates how our obsession with beauty and perfection often hides uglier interiors. Add an element of romance, and you’ve got the next silver screen contender. 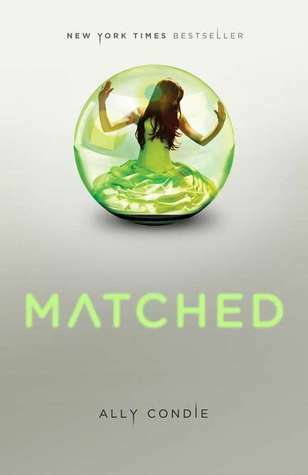 Matched by Ally Condie (2010): Again, what’s a YA trilogy without a love triangle? Lit nerds will love its influence from poetry, and Twihards suffering withdrawals will soon have new boys to swoon over when Disney brings the adaptation to a theater near you. So there you have it! My recommendations for those wanting to dive into dystopia! What other novels would you add to the list? I’ve crossed yet another novel off my 5 Classics I Really Want to Read list! After 1984 became my favorite book of last year, I knew that I had to get my hands on more of George Orwell’s work. Animal Farm (1945) was an easy choice, given how popular it is in the Western canon. Plus, I had already seen the 1999 film version in high school, so I was not new to the story. But for those of you who still are, I’ll summarize the tale: One day, a boar named Old Major shares his harsh thoughts on the human race. He passes away soon after, but the rest of the farm animals create a philosophy called Animalism based on his beliefs. In need of leadership, two pigs, Snowball and Napoleon, are quick to take charge. At first the animals enjoy their freedom and autonomy, but soon the pigs become power-hungry. Napoleon turns the farm against Snowball, then proceeds to overwork and underfeed the animals, killing those who he deems as threats. I guess that was more than just a summary, but of course it’s only the tip of the iceberg. Orwell wrote Animal Farm as an allegory for the Russian Revolution. Animalism is analogous to Communism, with Old Major as a representation of its philosophers Karl Marx and Vladimir Lenin. Therefore, Snowball and Napoleon are Trotsky and Stalin, respectively. As seen with 1984, Orwell is a master of intertwining literature and history, telling a fantastic story while conveying strong political messages of his time. He was extremely critical of Stalin’s regime–how the tyrant corrupted socialist ideals and oppressed his people. However, Orwell’s novels remain in the echelon of literature because their themes are timeless. The never-ending cycle of working class and elite is not merely seen in Communist nations. Orwell demonstrates that people with the best intentions often get so consumed with greed that they become the very enemy that they revolted against in the first place. Call this struggle what you will–proletariat vs. bourgeoisie, the 99% vs. the 1%–but take heed of Orwell. Our politicians may say that they have our interests in mind, but are they really serving their constituents, or are they just pigs in suits? So if you’re like me, for some reason (boredom, intrigue, shame over your reality show obsessions like “America’s Next Top Model”), you’ve Googled “best books of all time.” I love reading the classics, and every now and then I like to spice up my reading with some intellect. Usually after a string of chick-lit novels, I’m craving a challenge. Right now I’m enjoying Francesca Segal’s The Innocents, but often find myself feeling nostalgic for its inspiration: Edith Wharton’s The Age of Innocence. This, of course, makes me look forward to reading another Wharton novel waiting for me on my bookshelf: The House of Mirth. Thus, I thought that I would share with you my list of the five classics that I really want to read soon, starting with The House of Mirth. The House of Mirth by Edith Wharton (1905): The title is derived from Ecclesiastes 7:4, which states, “The heart of the wise is in the house of mourning; but the heart of fools is in the house of mirth.” That little tidbit of info alone tells me that this story is going to be dramatically tragic, and hopefully in the best possible way. When it comes to the struggles of upper-class women in the Gilded Age, Wharton is queen, and I am her humble reading servant. Anna Karenina by Leo Tolstoy (1877): This tale covers two goals on my reading list–experience another great ‘fallen woman’ story and finally read a Russian author. I’ve been recommended this novel by a few of you guys, and I trust your judgment. Plus, I seriously can’t get enough of 19th-century women pushing the boundaries of femininity and morality. It’s like literary crack to me! 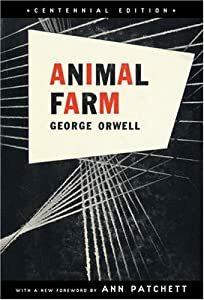 Animal Farm by George Orwell (1945): This is a story which I already know a lot about, since I watched the film adaptation in my high school European History class, and I routinely reference it as an example of allegory to my students. And frankly, I’m tired of mentioning a book that I still haven’t actually read. I fell head over heels in love with 1984, so there’s little chance that I’ll dislike Animal Farm. Why I continue to put off good reading, I’ll never know! 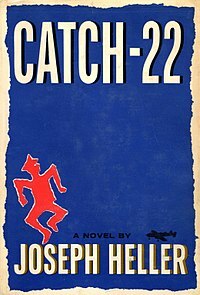 Catch-22 by Joseph Heller (1961): I feel that if you’re going to use “catch-22” regularly in conversation, you might as well read the book which originated the term. I don’t actively seek out war stories, but it sounds like Catch-22 is much more than that. I’m a big fan of satire and anything chock-full of mentally stimulating themes and allusions, so I’m pretty sure this fits the bill. The Trial by Franz Kafka (1925): I already love Kafka after reading his amazing shorter works, such as “A Hunger Artist” and “The Metamorphosis.” His writing is unique: bizarre, existential, and humorously morbid. Even though he died before he could finish writing it, I don’t want to die before I can finish reading it! So what are the classics that you haven’t gotten around to yet, but you definitely want to read? Share your picks, and offer your opinions on mine! And check back next week, because I’ll be discussing the five classics that I NEVER want to read. Any guesses??? So if you haven’t experienced the wonderland that is “Community,” then you are missing out–big time! This show about an eclectic study group at Greendale Community College has some of the wittiest jokes I’ve ever heard on TV. Instead of the slapstick nonsense that normally gets aired, “Community” has become a beloved cult classic for its rapid-fire one-liners, political incorrectness, and meta-entertainment that appeals to the hipster masses. In this episode, Shirley and Pierce are upset that their cafeteria sandwich shop idea has been stolen and sold to Subway. Because of a loophole which allows individuals to become physical representations of their corporations, Subway can sell its food to Greendale’s students. Britta falls in love with the face of Subway (real name Rick), despite her resistance to corporate capitalism. My favorite part of that clip is when Subway thinks that students should be “forced” to read 1984. While I agree that the novel is one that everyone should experience, forcing them would be doing exactly what Big Brother does in the story. Needless to say, I was downright giddy with the “Community” writers this week for coming up with such irony! And the 1984 references don’t stop there! In a sideplot, best buds Troy and Abed find themselves feuding over whether they’re going to break a world record by building the largest blanket or pillow fort. They come to a standstill when they run out of room in the school, and Greendale must choose sides, creating a battle for no reason whatsoever. Blankets v. Pillows…Oh, the humanity! Fans of 1984 will notice the similarities between this fort war and the wars between Oceania, Eurasia, and Eastasia. The entire world fought over arbitrary land boundaries simply to keep the military-industrial complex alive. Luckily, in the show, the battle ends with zero casualties, but I greatly enjoyed this subtle comparison to Orwell’s masterpiece. All in all, “Community” is TV’s most underrated show, suffering low ratings while mind-numbing junk like “Jersey Shore” and “Dance Moms” manages to gain publicity. Some people are just too dense to appreciate real, well-thought-out comedy that exists in this diamond in the rough. Do yourself and “Community’s” staff a favor by watching this show and saving it from cancellation. Forcing you would be very Orwellian, but trust me, it’s for your own good! Mwahaha! Odds are, you’ve heard that this little movie called “The Hunger Games” is coming out tomorrow. Advanced tickets have completely sold out and critics are estimating that it could make up to $150 million this weekend. I’ll be busy chaperoning for my mom’s third-grade class at the Fresno Food Fair tomorrow, but since I got my dad to read the book, we’ll be seeing it first thing Saturday morning. Right now, I’m optimistically excited. I’m not a fan of the end of the trilogy, but I’ve been watching clips and reading interviews of the cast, and hopefully it will be worth all the hype. I’m not too thrilled with its PG-13 rating since I wanted as much authenticity to the book’s brutality, but I understand that the story’s main demographic are teenagers and an R rating would cost the producers too much money. I’m also skeptical of massive bandwagons. I greatly enjoyed The Hunger Games, but as I’ve discussed before, my overall opinion of the series is pretty blah. Since it’s been over six months since I’ve read the series, I’m already on the hunt for the next big thing, and I’m sure I’ll be sick of all the fuss after a while, just like I am with the Twilight saga. But I’m determined to watch the film with qualified appreciation, so be sure to read my review when it comes out! 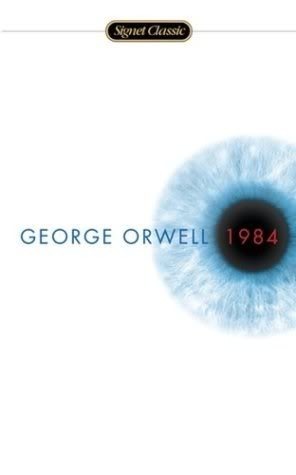 Another tidbit of news that was released yesterday is that Imagine Entertainment will be remaking 1984 by George Orwell! The company has teamed up with street artist Shepard Fairey, who has become famous for the Obama hope posters, so there might be some great Big Brother propaganda in the works! Of course, the internet is abuzz with talk about casting, and top favorites for Winston Smith include Gary Oldman and Michael Fassbender. Personally, Oldman might be too old now to play Winston, but could pass for the sinister O’Brien. Fassbender has done some great work recently, and I think he could do a fantastic job in this film. I’ll have to watch the first film adaptation, actually released in 1984, which starred John Hurt and Richard Burton. But I’m super excited for a modern remake since technology today could definitely enhance the story. I read 1984 only just a few months ago, but it is already one of my favorite books of all time (Read my stellar review HERE!) Maybe this movie will get a new generation of readers to love the book as much as I do! So will you be waiting in line at midnight tonight to root for Katniss and Peeta? Who would you cast in the new “1984” film? Or, are you sick of all these dystopian tales? Let me know in the comments! Published in 1949, 1984 was George Orwell’s final novel–a masterful foreboding of what could come should the world continue its thirst for power and hegemony. While many critics might write off the book as merely an allegory for the totalitarian regimes of Hitler and Stalin, it is so much more than that because it warns that it only takes enough torture and brainwashing to turn a man into an empty shell devoid of emotion and independent thought. Winston Smith lives in London, which has been absolved into the great superpower of Oceania. Given that he’s not even sure if it’s really the year 1984, his memory of the past is sparse: after the nuclear war of 1950, science and prosperity have been abandoned in exchange for militarized mass production. As an employee of the ironically-titled Ministry of Truth, he must change the facts of historical documents so that the past always matches the present. Oceania is, has always been, and will always be at war with Eurasia (unless it decides to fight Eastasia instead). And Big Brother, the ubiquitous face of the Party, exists, has always existed, and will always exist. Anyone who denies this or disapproves of the Party will simply disappear, vaporized by the Thought Police. It’s not the ever-watchful telescreens or the mob mentality behind the Two Minutes Hate that’s most terrifying about 1984. It’s the concept of “doublethink:” the psychological contradiction that can make you believe that war is peace, freedom is slavery, ignorance is strength, and two plus two equals five. Not only can the Party control your every movement, they can also re-program your mind. You go in knowing that Winston and his lover Julia can never break free of the Party’s despotism, that all their secret rendezvouses will only lead to capture, but you still remain foolishly optimistic just like them. So when the inevitable happens, and they are broken down into submission in Room 101, you feel just as broken. Their hope is your hope, their pain your pain, and their nothingness your nothingness. I find it hard to think of a more cathartic reading experience. This is the dystopian masterpiece. Everyone owes it to themselves to read 1984. Absorb it, love it, and–most importantly–learn from it. Because if we don’t wake up and band together to preserve individuality, encourage critical thinking, and further scientific progress, we will succumb to the same inhuman fate.